New season for Judd Trump did not start too late. 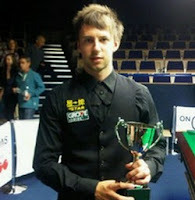 Judd Trump won his second PTC title after EPTC1 in Germany last year to become double PTC winner. Trump whitewashed Ding Junhui in the final 4-0 with 121, 81, 68 in just 41 minutes. Congrats to Judd winning PTC2! Trump's day started off with a dramatic victory over Neil Robertson in the last 16. Trump made the highest break of the tournament 141 to level Robertson 2-2 before Robertson forced a decider. Eventually Trump won on the final black in the decider to complete his narrow win 4-3 over Robertson. Trump had an easy quarter-finals victory over Yu Delu by 4-1. Trump faced Fergal O'Brien who beaten Ronnie O'Sullivan in quarter-finals, Ali Carter in last 16. However O'Brien could not stop Trump's smooth running, he failed to Trump by 0-4. It's really nice to see Trump picking his winning formula's back. I believe his long pottings and his unique shot selections are brought back by his hard work on the practising table. It's not too late to start the new season. 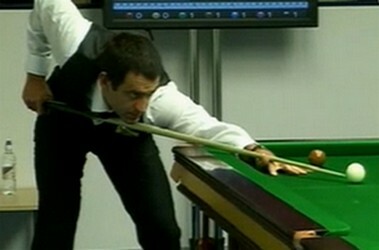 O'Sullivan did not perform as good as yesterday. O'Sullivan led 3-1 in the match but the Irishman stopped The Rocket to go further, winning 4-3 with 58, 56. O'Sullivan had a thrilling victory in last 16, just 4-3 win over young player Liam Highfield. Highfield was praised by O'Sullivan after the match about his precise potting. Chinese players had awesome performances in PTC2. Two out of four semi-finalists are Chinese - Ding Junhui and Xiao Guodong. Xiao nearly turned over the semi-final from defeat to victory. Xiao dragged a decider despite Ding was 3-1 up before he lost to Ding 3-4. Xiao has a solid break-building which helped him to get to semi-final - he is a notable player. Journey of both Ryan Day and Graeme Dott are ended by Ding Junhui in last 16 and quarter-finals respectively.